The British Motorcycle Manufacturing Academy in partnership with Norton will be returning to the Isle of Man to compete in highly competitive Lightweight class with MCN’s Senior Road Tester Adam ‘Chad’ Child at the helm. Students on the apprenticeship program run by the BMMA at Norton HQ, Donington Park will once again primarily run the project. 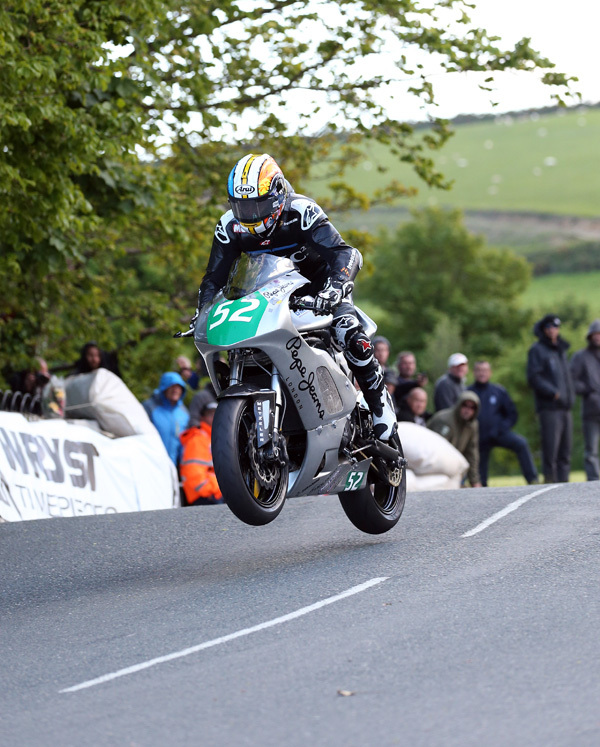 The team had a baptism of fire at last year’s TT as they competed against the words best road racers. Their job was made ten times harder as the team had to work long hours to rebuild the bike after Chad crashed on the mountain section at the end of practice week. The bike showed promise in the race, but unfortunately the team were forced to retire on the second lap due to a mechanical gremlin. Since the TT the BMMA team, made up of students under 21, have made huge strides, gaining valuable experience competing in the prestigious Scarborough Gold Cup, scoring a creditable 7th position on the bikes first outing around the undulating track. Australian Josh Brookes, runner up in the 2012 British Superbike Championship, will make his Isle of Man TT Races fuelled by Monster Energy debut next June. He will line up for Northern Ireland based Tyco Suzuki team - one of the most successful teams in TT history.